Here is a refreshing and authentic story of a nurse’s life. 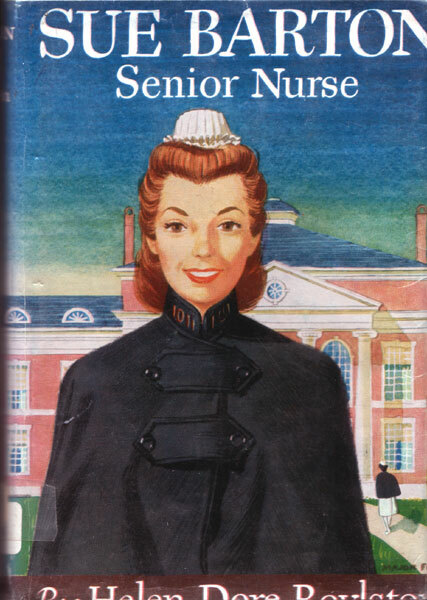 In it redheaded, vivacious Sue Barton finishes her training and goes on to the many experiences, both humorous and exciting, that a pretty young nurse can meet in a great modern hospital. In the very beginning of the book Sue gets mixed up in a minor mystery of the hospital, and we find that although she and her friends are more mature than they were as students, they are still able to get into occasional trouble with the Head Nurse. Exceedingly interesting episodes are those that deal with Sue’s serious work, including her first experience in the operating room, and the operation when she assists the brilliant but fiery-tempered doctor for whom nothing is ever right. Later she has her training in the care of newborn babies and their mothers. Deeply immersed as she is in her work, Sue struggles with the conflict of her love for her career and her growing affection for Dr. Barry, who continues to show as much interest in the pretty young nurse as he did when she was just a student. This book will be read with enjoyment by all who wish to know the inside story of the exciting dramatic life that goes on in a big hospital.